This could be ... awkward. Gov. 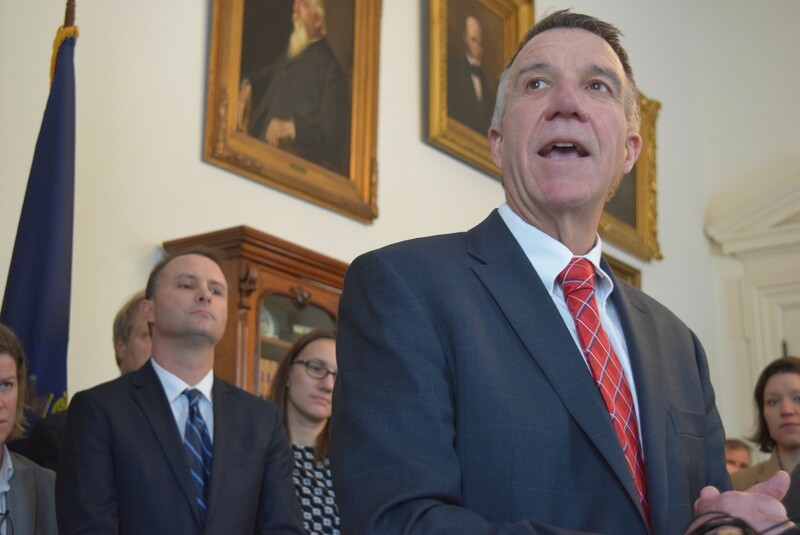 Phil Scott is headed to visit President Donald Trump, a day after the state’s Senate unanimously voted for a bill that would insulate Vermont from enforcing controversial immigration edicts touted by the commander in chief. Scott, who has said he didn’t vote for his fellow Republican, enthusiastically joined legislative leaders in backing the Vermont immigration bill, which his staff helped write. Scott left Friday for the nation’s capital, where he’ll take part in the four-day National Governors Association meeting. The event includes Sunday night dinner with the president and lunch on Friday with Vice President Mike Pence. The governors are also scheduled for a Monday morning meeting at the White House. Other sessions will focus on issues ranging from health care to homeland security. Scott said he also plans to meet separately with governors from the Northeast. A record number of governors plan to attend the sessions, according to the NGA. Scott will stand out as one of the few Republican governors who’ve openly stood up to Trump’s policies. It’s also Scott’s first trip to the White House. He’s never visited before as either a public official or tourist, he said. Scott will be accompanied by his wife, Diana, chief of staff Jason Gibbs and secretary of civil and military affairs Brittney Wilson, according to Gibbs. Scott said he didn’t quite know what to expect of his first NGA meeting or his first interaction with the president. He suggested Trump is particularly hard to predict.